New research reveals some significant imbalances between healthcare professionals’ (HCP) demand and industry’s provision of medical information, based on content types, channels and format. Michelle Kelly suggests how pharma can better engage. A total of 88 per cent of HCPs reported accessing diagnostic tools at least once per month and 66 per cent reported needing better access. However 31 per cent of pharma respondents reported not providing them. A total of 78 per cent of HCPs reported accessing continuing medical education (CME) at least once per month and over half reported needing better access to such content, while 31 per cent of pharma respondents reported that they did not support it. Among HCPs, 83 per cent reported accessing medical images at least once per month and over half wanted better access to them, but 43 per cent of pharma respondents reported not providing them. The study confirmed that industry was more heavily focused on the supply of pharmaceutical company branded promotional materials, with 84 per cent of pharma survey respondents reporting this was the case. However 55 per cent of HCPs reported ‘never’ or ‘rarely’ accessing such content and the majority stated that they did not want better access to it. Over half of HCP respondents reported pharmaceutical representatives (reps) to be of ‘no’ or ‘limited’ value to them as a source of medical information. Industry respondents significantly overestimated the value that HCPs held for reps and confirmed that they remained their most significant channel for delivery of information. Over three quarters of HCP respondents considered live events to be a ‘moderately’ or ‘very important’ source of information and 61 per cent wanted better access to them, but cited ‘cost’ and ‘lack of time’ as the main obstacles. Industry needs to find innovative ways to overcome these barriers. HCP respondents reported that they accessed independent websites most frequently, with the majority visiting them at least once per week, finding them of ‘moderate’ or ‘significant’ value and most wanting better access to them. Pharmaceutical brand and educational websites, however, were accessed and valued least, with lack of interest, credibility and trust cited as the main deterrents. While pharma respondents recognised this to be the case, over half confirmed that their websites continued to play a ‘moderate’ or ‘major’ role in their delivery of medical information. An exponential growth in digital content has been accompanied by an evolution in the formats and features available to support it. 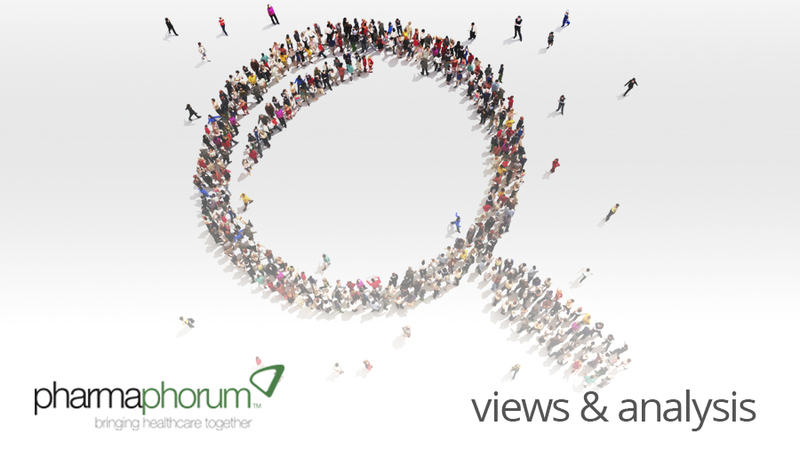 Over 90 per cent of HCPs rated the following as ‘moderately’ or ‘very’ important: search tools, download/PDF function, visual illustrations, synopses of key content, ability to view content by disease or speciality, and the ability to arrange or group content they liked. However, fewer than half of pharma respondents reported that they provided or funded online content containing these features. HCP survey respondents reported that online medical content was most often accessed in their own time. They were using multiple devices daily, with 69 per cent using a mobile phone and over half using a tablet. The use of mobile devices showed the greatest increase on the previous year. However, less than half of pharma respondents reported that all of their online content was mobile-optimised or likely to be in the coming year. Inability or reluctance to focus on supplying the content that HCPs need, in the formats they like, via the channels they use, at the time that they want it can only contribute to poor engagement and a lack of trust. The digital revolution means that industry is no longer restricted to engaging with HCPs via annual conferences and pre-booked five-minute sales calls. The online environment has provided HCPs with the ability to engage with content 24/7, via multiple devices and locations and as often as they wish. This provides pharma with a huge opportunity to increase quality engagement, if done in the right way. Customer-centricity is about helping to solve your customers’ problems and fulfilling their needs without necessarily satisfying your own. The more pharma is able to provide (or fund) the medical content that its customers need, the more it will gain credibility, trust and receptiveness to brand-focused marketing communication. Independent channels attract bigger audiences and more trust than pharma-owned channels. Of all the factors listed, ‘the sponsor’ was considered by HCP survey participants to be of least influence over their decision to access online resources, while those supported with funding but no influence (arm’s length) were assigned greatest credibility. To go it alone is a huge and unnecessary challenge. The importance of format and features cannot be underestimated either. To provide a convenient and valuable user experience that encourages engagement and trust, industry needs to put significantly more emphasis on providing today’s busy and tech-savvy doctors with content that is convenient to access, quick to digest and easy to save. These qualities need to be applied to all activities. For example, consider making events virtual and offering the enduring materials in a format and place online that doctors use and trust. It may seem obvious, but pharma companies need to make content available and convenient to access via the channels and devices that their customers are using. With one third of all web traffic going through a mobile device, those that fail to provide content that is mobile friendly or responsive will pay a high penalty in terms of the level of engagement. The study was conducted by EPG Health Media (publisher of epgonline.org, for healthcare professionals). It was based on parallel surveys with healthcare professionals (from over 30 medical specialties worldwide) and pharmaceutical industry professionals (both pharma and service providers). A total of 50 questions focused on the content types (what), sources (where) and formats (how) sought by HCPs and provided by pharma. 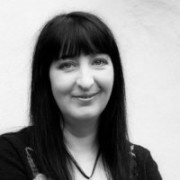 Michelle Kelly is division head of Marketing and Market Research at EPG Health Media. She has more than 15 years’ experience in medical publishing, having previously worked at Nature Publishing Groups and Current Science Group.